With the festive season upon us, I think it’s time for us all to take a moment to reflect on the true meaning of wintertide – namely, eating and drinking until you are so full that you regret all your life decisions that led you to where you are now, curled in a fetal position, your fingers sticky with cranberry sauce, your tears now gravy-flavoured. In my case, this generally involves wine and an overly exorbitant selection of various cheeses. But don’t let my preferences sway you, there are a whole host of tasty festive treats to whet your whistle – beer and pie, sherry and cake, various fizzy wines, whatever eggnog is – the list goes on. And to guide us through this plethora of edible delights, we have some experts who really, really know their stuff – celebrity speakers who can definitely describe themselves as ‘Foodies’ without the inconvenience of having to grow a hipster moustache. Queen of the Christmas pudding, and of my heart, is naturally Nigella Lawson. She inspires so may to try cooking with wine, and sometimes even putting it in the food. ‘Domestic Goddess’ doesn’t even begin to cover it. Celebrity speakers rarely come more rambunctious than Gregg Wallace. If, like me, you just can’t get enough of his titillating facial expressions and cries of ‘Those scallops have left me in a state of flux!’, Gregg is definitely the man for you. Whether hosting an awards ceremony or revealing all the off screen secrets of the Masterchef world, Gregg is the buttery biscuit base of corporate events. 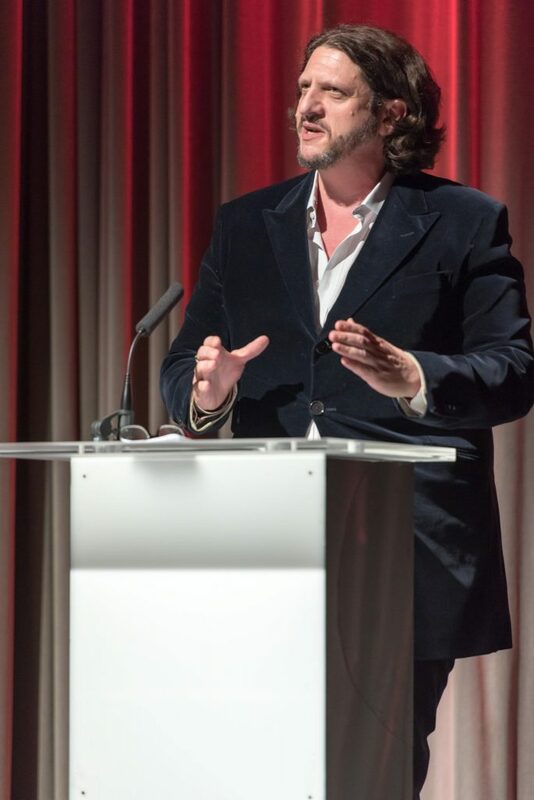 Jay Rayner may be faced with dread in the Masterchef kitchen, but this food critic is a really cracking after dinner speaker, and general top food buff. He was also once awarded Beard of Year by the Beard Liberation Front, which I think is pretty neat. And let’s not forget the importance of the Christmas tipple. Are you tired of the feeling of woeful panic when a waiter asks if you would like to try the wine, and you desperately try to pretend that you know what you’re talking about as your swirl it around the glass, take a swig, and declare it ‘very nice’? Fear no more. Nigel Barden is coming to your rescue. Ready to guide you through your bacchic bewilderment, Nigel leads tastings not only of regular old wine, but also whisky, vodka, sherry, and champagne. ‘Tis the season to be tipsy.